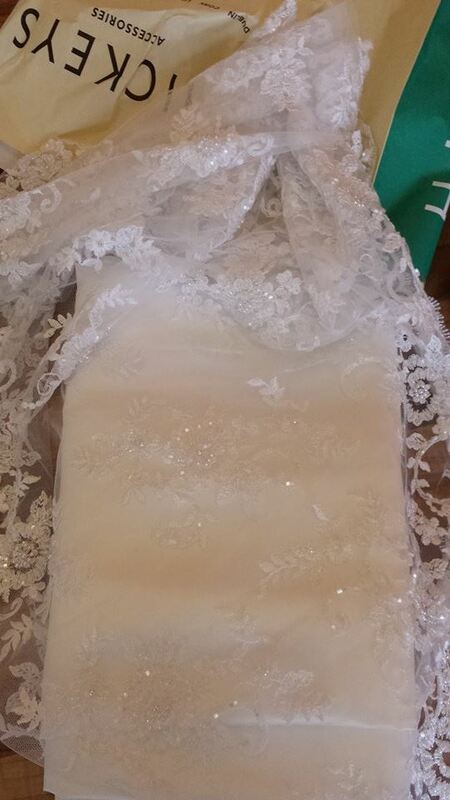 Let's make a communion dress…. ! Well you may remember back in our January Blog, I mentioned that I might decide to make Alannah’s communion dress instead of searching high and low for a petite dress! Well yes, you guessed it, we decided to make The Dress!! We drew up a pattern using one of my cousins communion dresses as a guide, making sizing adjustments as necessary. Once we had the pattern, I made up a toile to ensure that the pattern would sew up well and was the correct size for our Alannah! So it was time to get started on the Dress! We went for a very simple design as Alannah is very petite and didn’t want too much fuss. 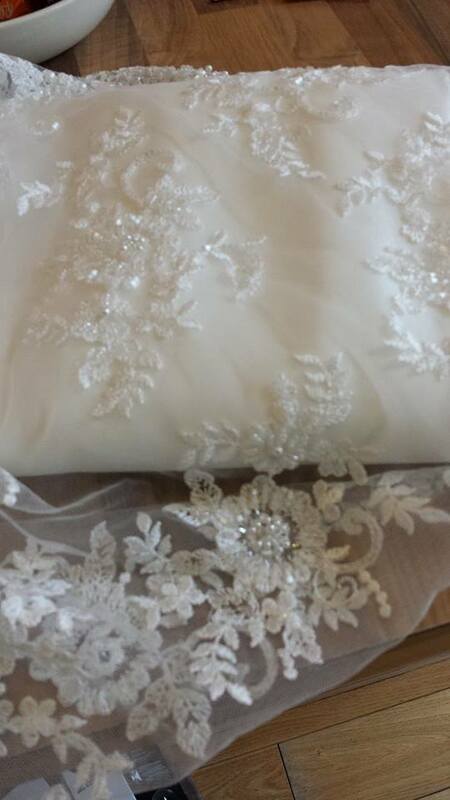 We choose a beautiful beaded lace from Hickeys and themed it with a crisp white satin. The initial plan was to go with a small hoop under the skirt but Alannah preferred a simple tulle layering under the dress with no hoop. Using the left over lace, I took the beading off the lace to use on the bow and tails. I also used the same beads to hand sew along the edging of the bolero. I had a small piece of the lace scallop over and I used this to make the front of Alannah’s communion bag so that it matched the front of her dress perfectly. I am delighted with the first attempt at making an occasion dress. Alannah was thrilled that her dress was specially made for her. I would love to have shared some more blogs, patterns and tips on communion dress making, however it seems to be a very well kept secret ;). If you are thinking of making a dress for your little girl, I would suggest going out to the shops first, try on lots of different styles before deciding. 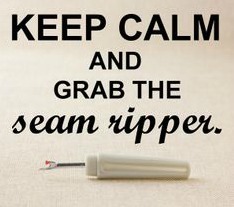 Know that the style you have in mind will suit and then design your dress using that knowledge. We changed our design a number of times before deciding on the final shape. 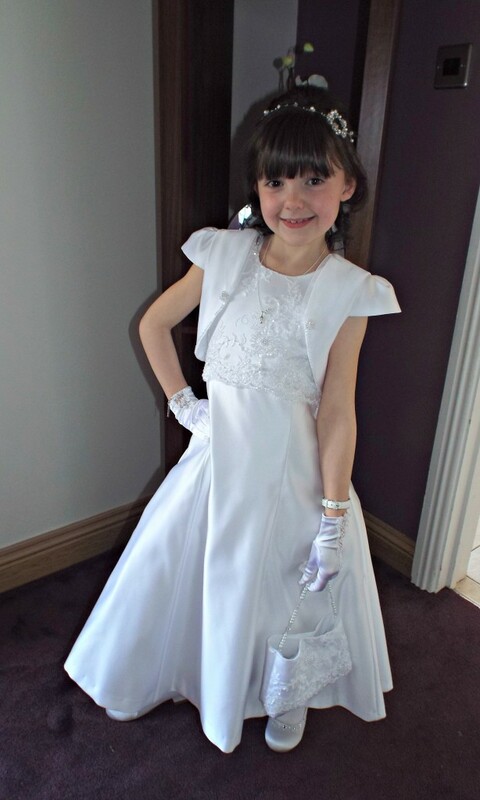 This entry was posted in Fashion and tagged Communion bag, Communion dress, flower girl dress and bag, handmade communion dress.